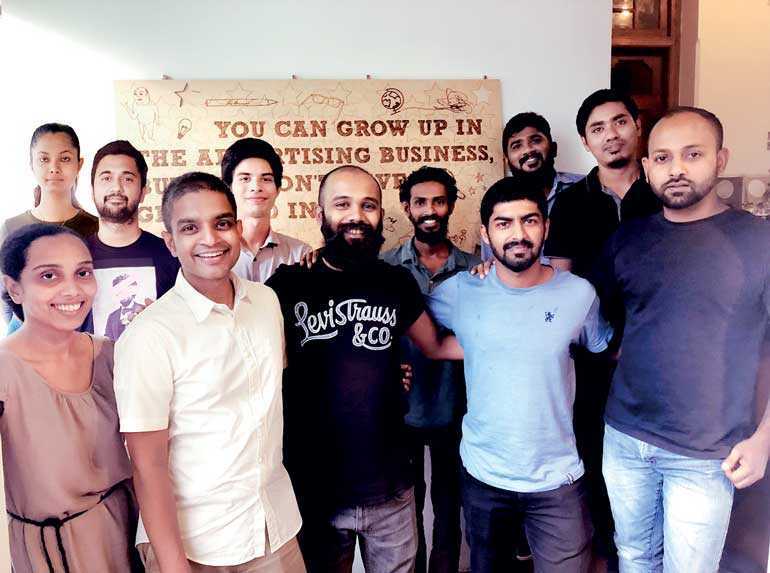 Leo Burnett Sri Lanka, the local office of the global advertising network Leo Burnett Worldwide recently promoted 10 young professionals from different departments, who had delivered an exemplary performance in the workplace. Staying true to the Leo Burnett tradition of “reaching for the stars”, each of these individuals were rewarded after their annual appraisals, and were recognised for excelling in their respective job roles, bringing fresh new ideas and initiatives to the table and delivering an outstanding performance overall. Several members of the Creative team were acknowledged for their commitment to creating world-class work. Hassan Samdin and Nadeera Darshana were promoted to the posts of Senior Art Director. Aysha Musthafa stepped into her new role as a Senior Copy Writer and Malaka Samith was promoted and will go on to serve as a Creative Group Head. In production Jayamali Wijesuriya will take on new challenges in the capacity of Senior Production Executive. Burnetters who were recognised from the Digital and Media departments respectively included Mithun Dhananjaya who will now serve as a Digital Group Head and Vidura Aluthwala who will take on the new role of Media Group Head. From the Brand Management Team, Stuart Deckker was promoted to a Brand Group Head and Anfaz Amanulla was promoted to the post of Senior Brand Manager. Shahzaad Zahirsha from ARC was recognised and will take on new challenges as Manager ARC. Celebrating its 19th year of operations, Leo Burnett Sri Lanka looks is dedicated to fostering powerful brands and meaningful partnerships with its clients, while delivering gratifying results and gaining peer recognition in the industry. The agency has a strong focus on people and culture, and is committed to motivating Burnetters to rise and grow as professionals in a nurturing and engaging workplace environment. As the agency looks ahead to the future, it remains dedicated to developing new ideas inspired by HumanKind – Leo Burnett’s philosophy which is rooted in the belief that creativity has the power to change human behaviour.